The first piece of Series XII merchandise hits the shop! 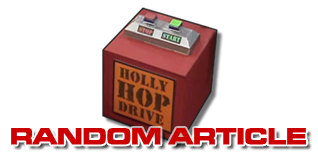 Well, we're going to have to change the name of the Official Red Dwarf XI Shop, as the first piece of merchandise relating to Series XI has now landed! And it's a special treat for those of you who were thoroughly excited by the "four Krytens" publicity shot when it made it out into the press - because it's a shirt featuring that very same photo! 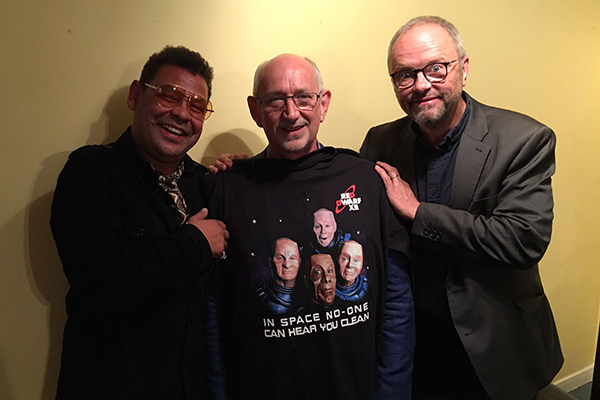 As modelled by our very own Doug Naylor at the exclusive Series XII Premiere event in Edinburgh this week, the shirt also features the slogan In Space, No-One Can Hear You Clean - and is available in sizes from small up to XXXL! You can pre-order the shirt right now ahead of its shipping from 4th September. 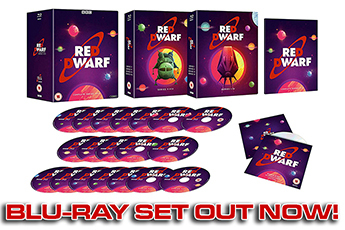 Is this the only Red Dwarf XII item you'll be seeing in the shop? Heck no! But obviously, we're not going to show you everything just yet, not least because some of it might spoiler the episodes. But we've got some very cool new designs to show you, some of which might even be a bit more classic than you've been anticipating... and we've also taken into account the garbage pod-fulls of feedback we got when we put out the call for ideas, so if you gave us your thoughts on what kind of shirts you wanted to see, you may just get a pleasant surprise too! 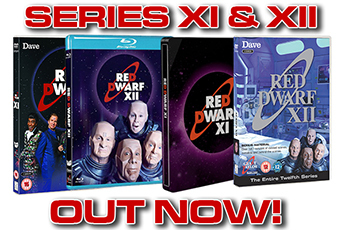 Check out the Official Red Dwarf XI (and XII) Shop now!